Cheese Straw is one of those things that I love but just don’t seem to make it enough. What’s not to love about this light and flaky pastry? It’s crispy, packed with cheese flavor and definitely addictive. I may or may not have eaten an entire batch in one night while testing the recipe. Don’t judge me, they’re that good! 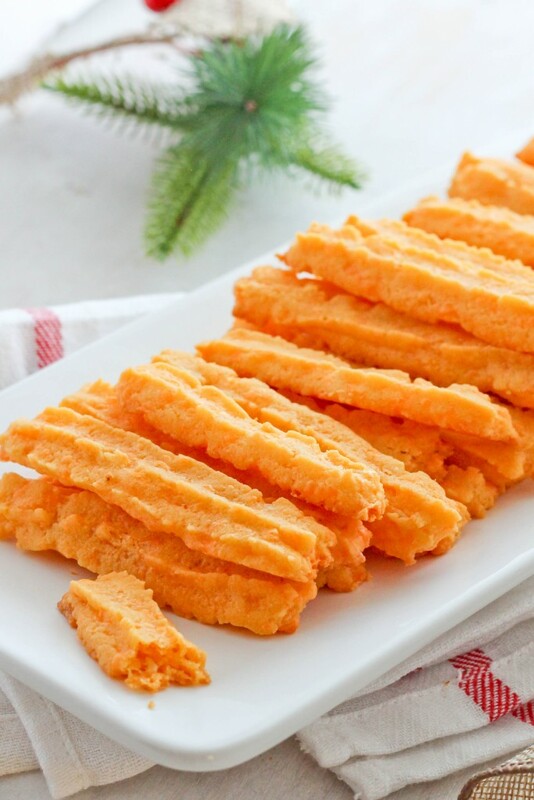 This recipe differs from the previous cheese straw recipe that I posted which was rolled and cut into fun shapes whereas these cheese straws need to be piped. Whether piped or rolled, they are both equally delicious. Not only am I sharing the recipe with you today, I am also sharing a video so be sure to check that out! In a bowl place room temperature butter and shredded cheddar cheese and beat using a mixer until well blended and creamy. Add flour, garlic, hot pepper, yellow mustard and egg yolks and beat until combined. Place mixture in a cookie press, piping bag or ziplock back with a large star tip. Pipe onto a baking sheet lined with parchment paper;; pipe into 3-5 inch pieces. Place in preheat oven and bake for 11-12 minutes. Allow to cool for a minute or so before removing from the baking ban. 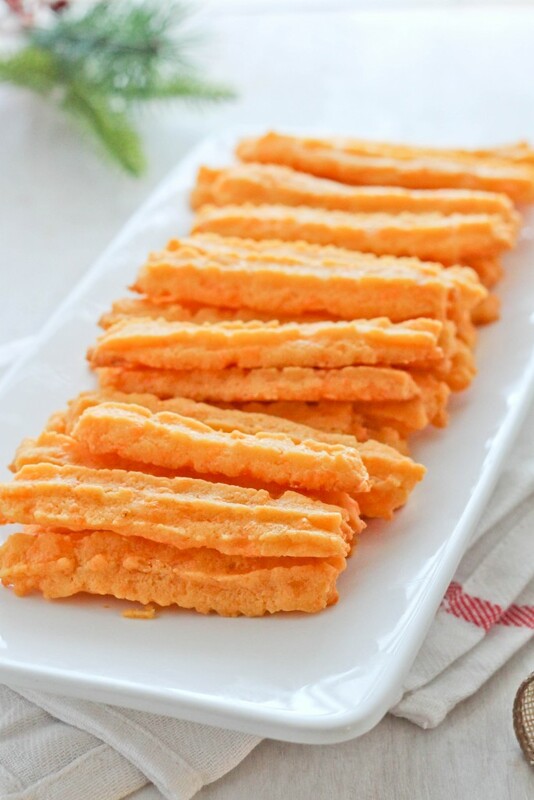 I love cheese straws, but I never knew how to make it, so thanks.